Buyers at Manhattan’s tallest ultra-luxury condo tower are getting discounts worth millions, a sign of the times in a market that’s swamped with costly homes. At 432 Park Ave., buyers who signed contracts and completed those purchases this year got price reductions averaging 10 percent, according to an analysis by appraiser Miller Samuel Inc. In one of the most recent big transactions to close, a penthouse on the 88th floor sold for $60.9 million, a 20 percent markdown from what developers initially sought, city property records made public Dec. 2 show. As new high-end projects mushroom across the skyline, developers of ones that came to the market earlier are cutting deals to unload units before competition gets even more heated. Sales at 432 Park, a 1,397-foot (426-meter) tower on 57th Street off Park Avenue, started in 2012, when the building was just an idea on paper. Now, with construction finished, purchases are able to close and the developers are highlighting that, along with price cuts, as ways to seal a deal with buyers who have many choices. The $60.9 million penthouse was purchased by Lewis Sanders, the former chief executive officer of AllianceBernstein Holding LP. His price for the 8,055-square-foot (748-square-meter) home was down from the $76.5 million initially sought by developers Macklowe Properties Inc. and CIM Group. A wave of luxury condos is coming to Manhattan just as interest from investors slackens. More than than 3,500 newly built units were expected to be listed for sale this year, according to a September estimate by brokerage Corcoran Sunshine Marketing Group. More than half are considered luxury, or priced at more than $2,400 a square foot. Sanders, now CEO of Sanders Capital, didn’t return a phone message seeking comment on his purchase, for which he signed a contract in May. Joey Arak, a spokesman for the building, said Macklowe Properties declined to comment on sales at 432 Park. The tower, whose record-setting height will eventually be topped by two other buildings rising nearby, also sold its highest unit at a discount. The purchase of the full-floor penthouse on the 96th story closed for $87.7 million in September, public records show. It was listed for $95 million. 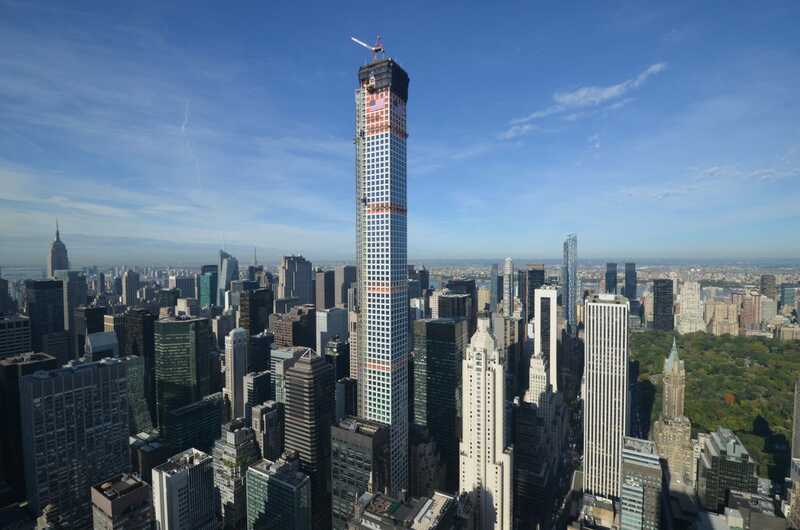 That transaction was among nine deals at 432 Park in which the buyer signed a contract this year and received a discount, according to city records of completed sales. On the 73rd floor, the buyer of a 4,000-square foot, three-bedroom apartment who signed a contract in June paid $30.1 million, or 11 percent less than the apartment’s official listed price. A deal agreed to in July for a 2,633-square foot three-bedroom on the 82nd floor, came with a bigger discount. The owners of unit 82A paid $18.6 million — a 14 percent markdown — when the purchase closed in September. The recent sale prices at the tower — usually ending in odd, non-round numbers — also suggest the developer is covering those buyers’ transfer taxes and other fees, Miller said. Sanders’ full purchase price, for example, was $60,893,873. The building isn’t the only recently completed ultra-luxury tower that’s lowered prices. A few blocks away on 57th Street, a 4,193-square foot apartment at Extell Development Co.’s One57 sold in October for $21.6 million, or 24 percent off the last asking price, according to listings website StreetEasy. Discounting is also happening at Manhattan projects that are still under construction — only less visibly because transactions at those properties, which haven’t closed, aren’t reflected in public records. Get our weekly Pursuits newsletter. At the Kent, rising on 95th Street near Third Avenue, 5 percent discounts were being offered as a way “to incentivize people to pull the trigger,” Extell President Gary Barnett said in September. At 111 W. 57th St., where a penthouse with Central Park views will be listed for $57 million, the earliest buyers were given price cuts as a way to log a few deals before the beginning of a formal sales effort, co-developer Kevin Maloney said earlier this year.